The story of ethnic minorities. While stunting is decreasing overall in Vietnam, prevalence is still high in minority populations. We are starting to look in particular at barriers to change such as language and communication with health staff and other government workers; and food and agriculture practices and constraints. The story of milk. Milk is illustrative of nutrition change in Vietnam - it is a nutritious food source for children, and likely a driver of stunting reduction in some populations; but it is also a sugar-sweetened beverage in some forms, and therefore driving the nutrition transition. 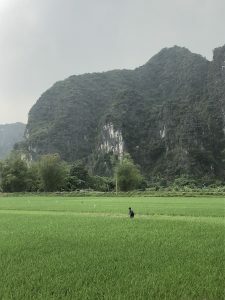 Milk also lets us look at the role of the private sector in food in Vietnam, and contested issues such as infant formula and the country's school milk program. The story of nutrition transition. Broadening from the stories of stunting and dietary change, we have written a paper (to be published soon) that narratively links broad economic and demographic changes with changes in food sources, supply and prices, and household food expenditures, and individual diets and nutrition outcomes, to tell the story of the country's nutrition transition from a food perspective. 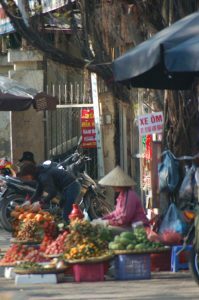 Throughout these stories we are looking at the Vietnamese context in terms of society, business and food; and at governance including government capacity and leadership, development partner roles, and decentralization and service access. Each of these has a bearing on change in nutrition in Vietnam. Stories of Change Vietnam is being conducted under A4NH Flagship Research Program Four: Supporting Policies, Programs, and Enabling Action through Research (SPEAR). Learn more about Stories of Change work in other countries.